Dr. Linda Keilman has served as the Editorial Review Group Chair for Nursing Education and Nursing Fundamentals since October 2014. Over these past four years, we have sent her 134 books and she has coordinated reviews of 86 of them. Although she has reviewed a few of them, she recruited 28 expert reviewers from 12 different institutions to write the majority of the reviews. Dr. Keilman is an Associate Professor and Director of the Adult Gerontology Primary Care Nurse Practitioner program in the College of Nursing at Michigan State University where she has taught for 25 years. Dr. Keilman was an elementary school educator first, with degrees from Concordia University Ann Arbor, Michigan, and Concordia University River Forest, Illinois, before changing her career path. She received her Associate Degree in Nursing from Lansing Community College in Lansing, Michigan, and her Master of Science in Nursing at Michigan State University with an emphasis on gerontology primary care and end-of-life. She completed her Doctorate of Nursing Practice (DNP) degree at Oakland University in Rochester, Michigan, with a focus on leadership and health systems management. Dr Keilman has been a registered nurse since 1983 and a nationally certified Gerontological Nurse Practitioner since 1989. Nursing practice experience includes acute care, emergency department, home care, hospice, internal medicine, continence clinic, parish nursing, geriatric assessment center, senior care, nurse practitioner managed clinic in subsidized senior housing, palliative care, continuing care retirement community clinic, and, for the last 12 years, long-term care and rehabilitation. She began teaching nursing in 1985 and has always combined teaching with practice, community-service, and scholarship/research. 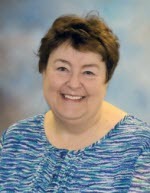 Dr. Keilman has received many awards during her nursing career. The most recent (November 2018) was the inaugural recognition as a Distinguished Educator in Gerontological Nursing from the National Hartford Center of Gerontological Nursing Excellence. In 2017, Dr. Keilman became a Fellow in the American Association of Nurse Practitioners (FAANP) related to outstanding contributions to clinical practice and education. Earlier this year, Dr. Keilman and a collaborating researcher from the MSU College of Engineering received the Trifecta Initiative Facilitating Funds Award that recognizes collaborative team science research. She also received the Graduate Faculty Teaching Excellence Award and the Anna Mae (Berg) Spaniolo Faculty Practice Enrichment Endowed Award for her work in improving oral health in long-term care from the MSU College of Nursing. From the Gerontological Advanced Practice Nurses Association (GAPNA), Dr. Keilman has received both the Excellence in Education Award and the Excellence in Clinical Practice Award. The Lambda Chi Chapter of the Chi Eta Phi Sorority awarded her the Excellence in Community Service Award. The Lansing State Journal awarded Dr. Keilman the Outstanding Award for Long-Term/End-of-Life/Hospice Care for her work in Michigan. Dr. Keilman also sits on a variety of interprofessional healthcare and aging population related boards and committees in her local and state region and nationally. Dr. Keilman was the gerontology nursing curriculum content expert for the federally funded Geriatric Education Center of Michigan for 20 years. One of her scholarship/research interests centers on education of healthcare professionals and community members related to understanding issues of aging and improving their ability to work effectively with older adults. Dr. Keilman has also been involved in research grants for Alzheimer’s disease training and education programs, urinary incontinence in the aging population (community and long-term care), and establishing a state-wide division of geriatrics at MSU in the College of Osteopathic Medicine. Additionally, she worked collaboratively with colleagues in the School of Journalism at MSU filming The Living History Project: Stories told by Michigan’s Oldest Old (85 years of age and older), which received several national/international journalism awards. Dr. Keilman is currently involved in the following scholarship/research: improving oral care in long-term care to decrease infections; assessing shared decision-making in older adults with mild cognitive impairment; determining evidence of moral distress in nurses related to patients’ foregoing healthcare treatment related to cost; and transportation needs of older adults related to health care (funded by the CDC and Robert Wood Johnson).